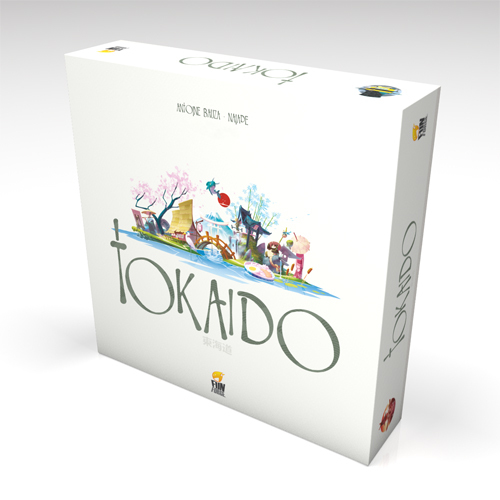 Tokaido can be described with one simple word: serenity. This game will help you calm down while enjoying the simple crisp gameplay and the beautiful art by Naïade. Each player starts with one of several characters that will give you a certain advantage. You then start the long travel from Tokyo to Kyoto on the 500 km long Tokaido road (know you know why the game is called that). Visiting villages, farms, hot springs, temples and inns along the way. Each visit will give you points in different ways and at the end of the game the player with the most points is of course the winner. What makes these travels interesting is that on your turn you can move as far ahead as you want, but most spots only hold one player and you can’t go there if there is already an other player. And if you go too far ahead to reach a specific spot before it’s taken by the other players you are gonna miss out on other spots you opponents will enjoy. The thing is as long as you’re the player that’s behind on the road then you get to move. So if the other players move to far ahead you might get to visit multiple spots they skipped over. Should you rush ahead and get the spot you want and give you opponents the option of grabbing several of the spots you left behind? Is it worth it? It’s question like these you will constantly ask yourself and part what makes the game great. As I mentioned initially “serenity” is the word that best describes the game, but the game is a lot more than that. It’s very easy to teach new players and quickly gives players options and a lot to think about. Antoine Bauza has done a great job designing this game and I would highly recommend it as a game to teach to new people to the hobby or if you just want to sit down and relax over a beautiful game. The game is definitely a fun game, but it looses some of its charm after a few plays. It gets a little too simple and serene, but not to an extend where I would say the game gets bad or boring. 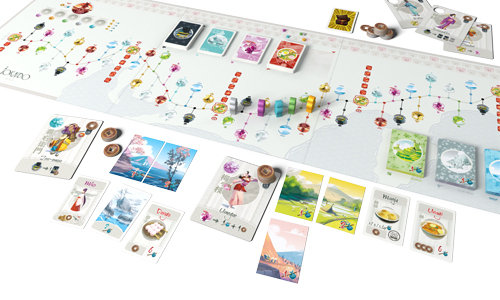 The whole story of traveling from Tokyo to Kyoto along the Tokaido road is translated very well onto the board. 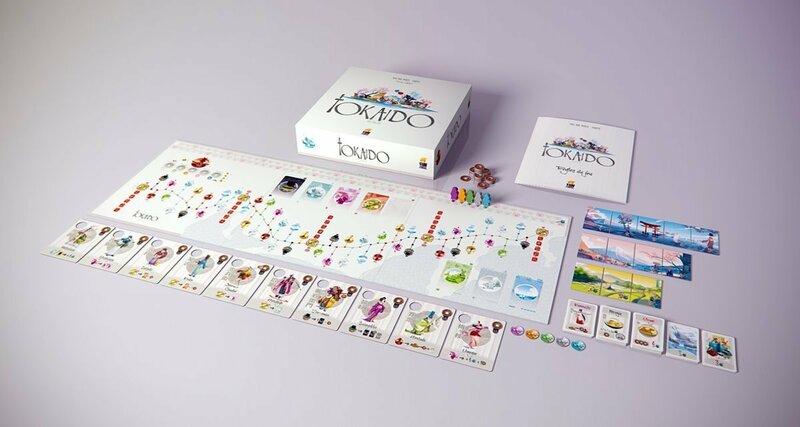 You really feel like you are traveling along the Tokaido road. The rulebook also has a nice little description of the story behind the game. A very nice touch indeed. Xavier Gueniffey Durin (better know as Naïade) did a wonderful job illustrating this game. The art is so crisp and clean, with a nice whimsical feel to it. The rulebook is not long and the rules of the game are pretty simple. It’s well illustrated and has good examples.